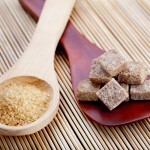 Whole natural sugar cane is loaded with vitamins and minerals that nourish our bodies. It contains calcium, which ironically, is needed for the body to digest sugar properly. It’s just one reason to consume sugar in it’s natural state. Sign up for our Email Updates and Never Miss Carol’s Tips! There is Evaporated Cane Juice in my Almond milk, is that drinkable on P3?